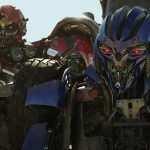 The Transformers franchise gets a welcome jolt of eighties nostalgia and heart with Bumblebee, an Earth origin story for the fan favorite VW Beetle who evolves into a Camaro. Director Travis Knight (the acclaimed Kubo and the Two Strings) and screenwriter Christina Hodson (Unforgettable, the upcoming Birds of Prey) wisely jettison political machinations, world takeovers, and sexist ogling. 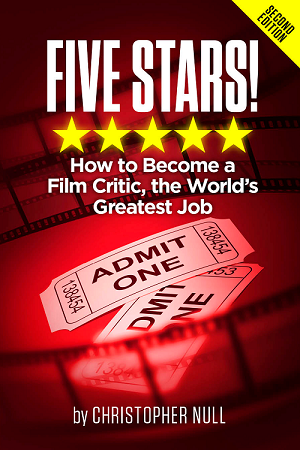 Instead, they craft a film that hearkens back to youth-oriented adventures like The Love Bug, The Iron Giant, Big Hero 6, and E.T. the Extraterrestrial. 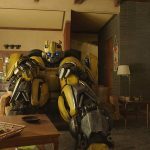 Bumblebee isn’t all warm and fuzzy—a few humans burst into clear fluid, and robots get dismembered—but it has characters we actually care about, namely a girl and a robot who meet when each needs a friend the most. Knight starts the film on Cybertron, the home world of the sentient convertible Decepticons and the rebellious Autobots. (Viewers who remember the 1980s animated series will recognize Soundwave, Ravage, Shockwave, Wheeljack, and Arcee, among others.) The Autobots’ leader, Optimus Prime (Peter Cullen’s warm gravitas), buys time for his soldiers as they flee to establish a new base somewhere else in the galaxy. One, the feisty yellow B-127, lands on Earth but soon loses his memory. He’s in a scrapyard when Charlie Watson (Hailee Steinfeld, Spider-Man: Into the Spider-Verse) finds him while scrounging for parts for her late father’s Corvette. The scrapyard owner gifts her the VW for her eighteenth birthday. She and the Autobot startle each other once the car transforms in her garage, but when she sees him tuck into a corner, knees against his chest, she realizes he’s more frightened than she is. Steinfeld invests Charlie with earnestness, resourcefulness, and compassion. (My 9-year-old son liked her instantly for her kindness to Bee.) She’s trying to find her way through a rough time in her life while her new friend—Charlie nicknames him Bumblebee for the beeps he makes—struggles to blend in on Earth. Naturally, the military is on Bee’s trail, spurred along by two Decepticons (voices of Angela Bassett and Justin Theroux) who claim the missing soldier is a war criminal. As Agent Burns, WWE wrestler John Cena is square-jawed toughness but adds humor where he finds it, noting, “They literally call themselves the Decepticons. That doesn’t set off any red flags?” The story relishes moments where Bee doesn’t know his own size, squashing whatever’s in his wake, while Charlie deals with shallow mean girls, a grimy job selling corn dogs, a neighbor (Jorge Lendeborg Jr., Love, Simon) with an obvious crush on her, and one too many references about her being a skilled diver who doesn’t swim anymore. Nevertheless, the action is easy to follow, and the animators imbue Bee with emotive blue eyes and a charming personality, dusting sand from Charlie’s hair, transforming into a car when he’s embarrassed, and even offering hugs. It’s a sweet and sincere way to revive a franchise that had evolved into a lot of sound and fury, signifying nothing. Cast: Hailee Steinfeld, John Cena, Jorge Jendeborg Jr.